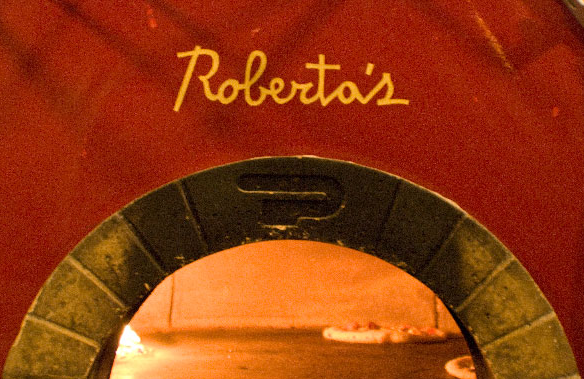 I LOVE ROBERTA'S. Their Big Tone Calzone from the oven, and their sweetbreads from the kitchen. Its a win-win situation folks. (They try to grow as much ingredients as they can in the backyard garden too). And this August 26th is food related trivia night! Im already stumped on their sample questions, so I dont know how much use I will be...but the food itself will be worth it. WHEN: Wednesday, August 26. Trivia begins promptly at 7 p.m.
HOW TO PLAY: Reserve your spot at www.brownpapertickets.com/event/78251. Food includes: Roberta's wood-fired pies, Red Wattle pork from Heritage Foods, olives and pickles from BKLYN Larder, Sixpoint Craft Ales and Long Island wines, greens from Red Hook's Added Value farm, and corn and potatoes from Basis Farm to Chef. Event cohosted by Edible Brooklyn.